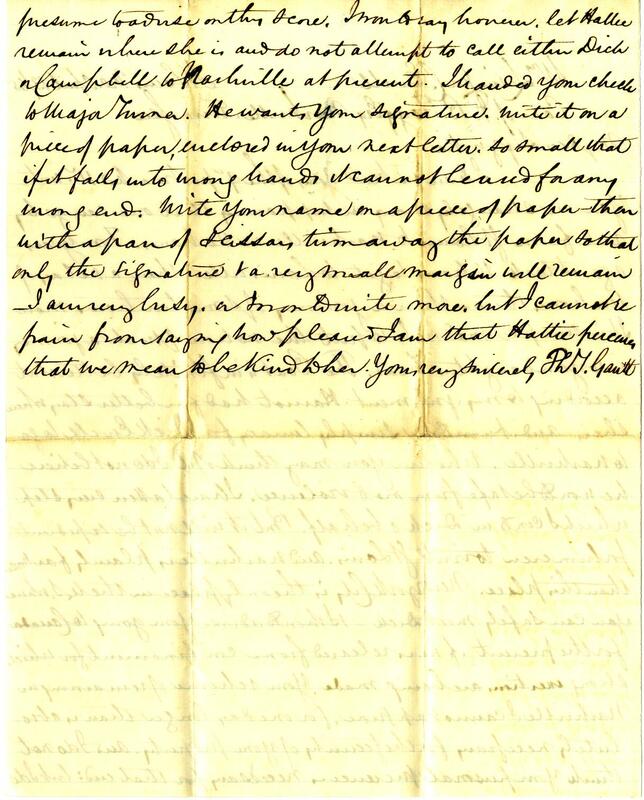 Item Description: Letter from Thomas T. Gantt to his cousin Lizinka Campbell Ewell. He advise her not to bring Richard Ewell or Campbell Brown to Nashville once they were paroled. Richard Ewell and Campbell Brown were captured by Federal troops on 6 April 1865 at the Battle of Saylor’s Creek. 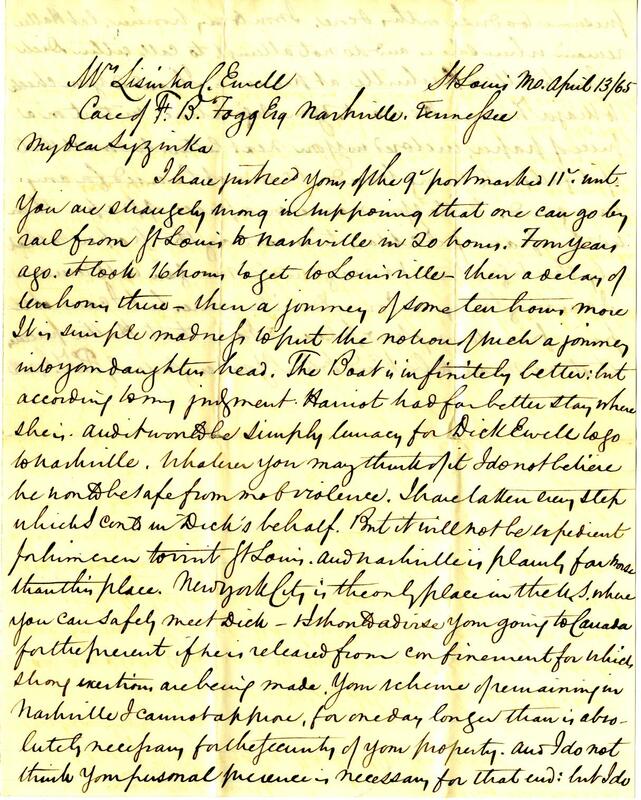 This entry was posted in Southern Historical Collection and tagged Campbell Brown, Civil War, Lizinka Campbell Ewell, Nashville (T.N. ), parole, Richard Ewell, Thomas T. Gantt. Bookmark the permalink.